The key to cooking delicious food is the precise measurement. Bakers, especially, would agree on this. Cooking with the same amount of ingredients and the precise method will yield the same delicious results! ToBox Digital Kitchen Scale can be a great kitchen gadget that would help you make sumptuous meals every time you cook. Having a food scale is common in every kitchen. However, heavily relying on it is not something most home cooks do! But hey, ask a friend who cooks a favorite recipe that doesn’t change over the years. One of their secrets, aside from the cooking method, is the recipe’s precise measurement of ingredients! A kitchen scale can help you with many things. One reason why we love having it is that it allows you make meals and desserts over and over and get the same scrumptious results every time. A digital weighing scale also makes things a lot easier. You wouldn’t have to track down the weight of every container you have. A tare weight option can easily reset your scale with the container on top! 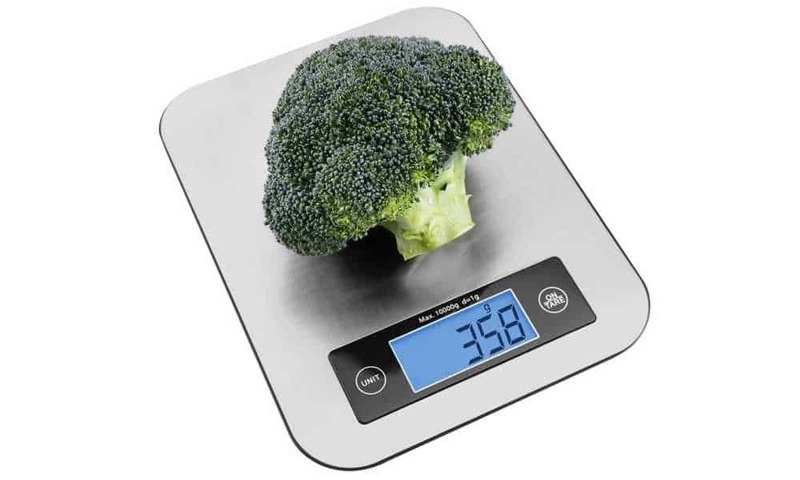 There are many kitchen scales available online that you could choose from. They are easy to use and can be switched from Metric to English systems pretty quickly. High-precision digital scales make it possible for you to become the great home cook you’ve always dreamt of as it also helps you create consistently tasty recipes that friends and family love! ToBox is a brand established by self-proclaimed chefs and foodies around the globe. They have a vision about the way people shop and give excellent cooking experience and after-market support. We are aware that brands that produce the best-quality products and provide solid after-market sales support usually cost you more. At ToBox, they offer the same quality and support without charging an extremely high price. They want and make it possible for every kitchen to have what it needs at an affordable price. ToBox sources their kitchenware from the best factories in the world. Yes, they have multiple suppliers that provide them with top-quality products. As much as they could, they try to find the right company that has standards that are at par, or higher, than the biggest brands on the market. Without the big brand name, product logo, and expensive advertising schemes, ToBox can lower their price and provide consumers with the value they pay for. This multi-function scale is one of their best products given that it has a lot of practical use in the kitchen. 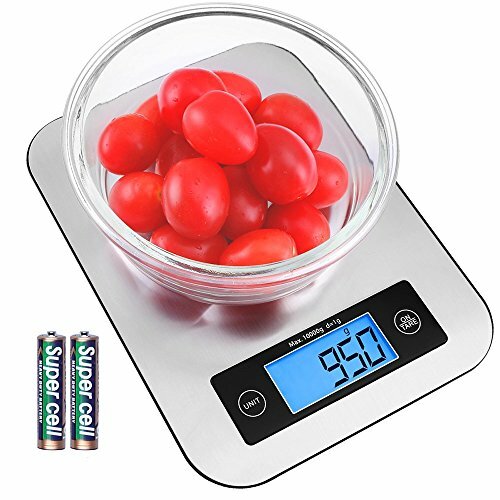 It is carefully designed to be the only kitchen scale you need. It does what it needs to do; measuring ingredients, and has a stylish finish to boast for. The design is very simple and matches almost every kitchen style. This rectangular scale is made of stainless steel and flashes a blue LED-lit panel that clearly shows the unit of measurements. You can cycle through English and Metric system easily with the accessible button on the left of the screen. Moreover, measuring tare weight is as easy as a single press of a button on the right of the screen as well. The manufacturer is proud of this ultra-precise weighing scale that gives accurate reading every time you use it. It is designed with a slim profile for easy storage and setup. The stainless material used in this product is fingerprint-proof and easy to clean. It comes with two AAA batteries, and it has a low battery indicator to prompt you to change your batteries accordingly for accurate readings. This scale can read as little as one gram up to 10kilograms without malfunctioning. It has an overload indicator to make sure that you are not pushing your scale to the limit. The multi-function feature lets you measure grams, pounds, ounce, and milliliters easily. You won’t even need a calculator or a unit converter to cycle between reading Metric and English units. The surface of this product is made with stylish fingerprint-proof stainless material that is easy to clean. This scale can read as little as one gram with precision. It has a large display lit with blue LED that easily tells you the reading. Smooth operation with buttons adjacent to the display. The slim design makes this scale portable and easy to stow when not in use. The durability of the material is a little flimsy and easily gets dented. The product feels a bit too light. If you want to start redefining the way you move in the kitchen, this digital scale can greatly help you! It allows you to easily portion the ingredients you use or even the food you consume! You can measure your food precisely to avoid excess calories that go with it. We guess that helps a lot in making dieting easy too, right? With this kitchen scale, you can document the precise amount of ingredients of your favorite recipes, repeat them and get the same superb results every time. You are in for a lot of recipe request from family and friends! Etekcity’s kitchen scale is a tough contender with a similar design and quality level. However, this product is almost twice the price of ToBox’s. ToBox’s scale easily beats it in the price department. Without the expensive advertising scheme, ToBox brings the price down and make an affordable kitchen scale that is at par with the best on the market today. A digital kitchen scale makes it easy to cook and measure the caloric content of lovely meals. With exact measurements, you will always end up with a great tasting meal that your friends and family cannot get enough of. ToBox Digital Kitchen Scale Food Scale is a surefire way to give you what you need, measurement-wise. It is easy to use and can serve many purposes. You can measure your kitchen ingredients easily with its tare weight option. You can also measure the portions of the food you consume to help you maintain your weight or lose some if needed. And last but not the least, you can use it to measure liquids too. Overall, this product is an excellent addition to your set of kitchen tools. It will help take your cooking skills to the next level with ease!